Crop circles - Warning! There are present deadly poisons!. Explanation, decipher, decode, discovery, break code, explaining, decryption, puzzle out, scientific research. Crop Circle visitors are unwittingly exposed to relatively large amounts of toxins, most likely CO (carbon monoxide), also many other extremely dangerous poisons and hallucinogens. All acting like Guinea pigs. people or similar cases : never visit any Crop Circle !!! never, never, never, never, never visit any Crop Circle !!! Crop Circle phenomena may cause infertility! Especially for fertile women (between ... and ...): standard regularity of your cycle may be badly damaged thanks to visiting Crop Circle phenomena! Any visitor inside a Crop Circle, is present at a place, where sometime ago (maybe several hours) worked a lot of millions similar electrical power plants. Only for a short time, several millionths of second, but did. At starting point it worked on square region much smaller then odd square meter (!!! ), even less then sq. centimeter, and cubature not more than odd cubic meter, later little more, but not much (maximum several hundreds sq.m., most times less). Really did. If anyone more voluminous animal, certainly also person (in such a case not only that more voluminous, but absolutely all) have been present there really "at close range" and really "just in time", would look like very similarly like animals on the accompanying photos. On the location may be located up unpredictably large number of very dangerous chemicals, in toxicological practice known as Extremely Dangerous Poissons, for their storage and transportation was created one of the strictest rules, what was ever realized in the history of mankind. On that place are absolutely free, without any restriction, walking hundreds to thousands of people every day like on the promenade, as if they went to the beach outside the city. Their decision. Apart from all that Extremely Dangerous Poissons, many of them in the gaseous state, there may be located underground large amount of static electricity (million Joules and more), and much more accumulated heat. Both of these values may contribute to the further formation of free radicals, highly excited atoms and molecules, ozone and other compounds with very high oxidizing or reducing potential, which further contribute to the toxic character of that investigated sites. This is a very local issue, unlike for example, chemical or radioactive full-area contamination, and animals are such places obviously nervously avoiding (observed), in contrast to people. Plants would such a place certainly also rather avoid, if they had legs, thus do not, so at least try going to die or "to be consumed". Especially in the metal (iron) underground pipes, along them considerable portion of electricity, of course, carried out some time, remained some "residual magnetism" (More info will be here). Similarly, the various iron components and tools, including abrasion of iron cultivating machines, by which for centuries farmers cultivate their fields, and from that resulting iron - ferric oxide (rust - somewhat hydrated, but still enough magnetic material). But this is all just a tiny amount compared with the natural iron content in the soil (3%). All its compounds may be during the discharge thanks to cathodic and pyrolytic reduction for some time converted back to metallic iron. 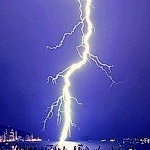 The only reason that all the described changes, chemicals and anomalies caused was The Lightning Discharge. Although considerable part of the energy (more than 99%) radiated above the ground, because even in the case of an average discharge was the energy about a billion (109) Joules, there is still left a lot for the underground. 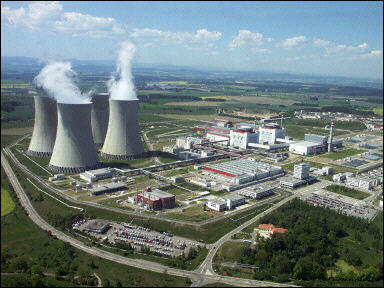 In the case of more powerful discharges is there transferred energy even more than 1012 Joules. Some very rare, extremely powerfull lightning discharges may radiate energy up to 1014, perhaps even 1015 J. There is also big amount of heat accumulated undergroud (not so dangerous, but?). Possible to measure it. Thermal camera, thermovision, Thermal Imagery, Thermal Imaging, Night Vision, Infrared Camera Systems. There is also present remaining magnetic field (compass anomalies, not so dangerous, but?) due to previous really very huge electromagnetic pulse. Many of that "beyond all of understanding phenomenons" possible find in this book. For instance Lightning Electromagnetic Pulse, (LEMP), thunderstorm static electricity. Very interesting fact, that there were not found any Fulgurite in or round Crop Circles. However, where is no one ever looking for something, there also no one can find anything ever. Demonstrable matter is the fact, that at any point of the Crop Circle occurrence has never been performed even a minimal excavation works, and fulgurites are certainly found much more underground. At the same time is or will be on some other pages explicitly stated, that in some places, where crop circles found, or in their immediate vicinity, would be really in shallow underground (but below the deep plowing) really could be located something interesting (Archeology) and some of these places even really demonstrably something present is. Utility networks - see Lines in Crop, or some (probably metallic) Objects in Underground, as mentioned in one paragraph of the same page. Possible, that at starting point there is a potential difference (p.d.) more than five billions volts (5x109 V) and peak currents maybe higher than five hundred thousands amperes (5x105 A). Portion of energy, moved by one standard, average lightning, is from 109 to 1010 J, and a full - loaded truck would move many hundreds of kilometers by that . 5 x 109 J is about 1400 kWh and may be suspended approx. by 140 litres of diesel fuel, or 1 ton of TNT. The average lightning peak current is 30 000A. 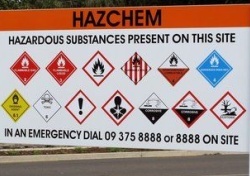 About poisons are already on some other sites much more descriptive information, find and copy here. Rather to start. The rest sort better.